For Sale All Locations, South Carolina, Florence Hwy. 327 & E. Palmetto St. 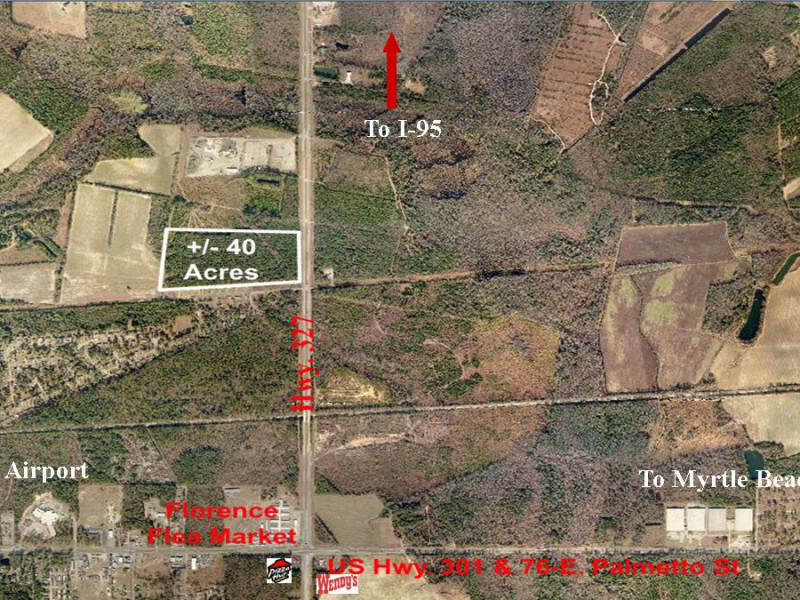 This highly visible multi-use development site is situated on US Highway 327 just beyond the Intersection of US Highway 76. It lends itself to a variety of development projects from rail-served distribution or warehouse to hospitality and retail uses. The site is located among an very heavily traveled commuter and vacation corridor that provides access to the northeastern coastal areas of South Carolina. Utilities: Water and Sewer serve the site.